All student athletes participating in athletics for the Chicopee Public Schools must register online. Below are detailed instructions for registration. Note: If you have already signed up during a previous season, simply login with your previous name and password, update the information and check the sport you wish to play. The School Committee believes that students benefit from the experiences made possible through participation in competitive sports. Developing physical skills can help students deal with the stress and strain produced by modern life. All competitive sports programs will require Committee approval and will operate under the general supervision of the Principal. Qualified personnel will be assigned to supervise the various sports as needed. Coaches for the various sports will be appointed annually by the Principal with approval of the Superintendent. Compensation for these assignments are set forth in the current contracts. In developing and approving athletic programs for students, the School Committee will strive for equitable opportunities for boys’ and girls’ athletics. 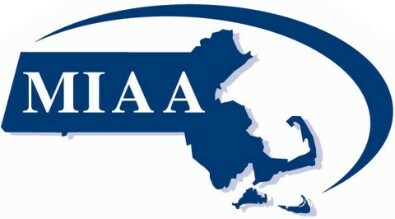 Participation in interscholastic athletics will be subject to compliance with the following requirements and with regulations and recommendations of the Massachusetts Interscholastic Athletic Association: A student must secure during the last marking period preceding the contest a passing grade in five subjects, (four subjects at Chicopee Academy), and maintain an average of 65% in all subjects taken. A one-time waiver may be utilized by appealing to the principal. 2. BOWIE - Head toward 2nd rotary in Fairview. Take right by Knights of Columbus Hall on right. On Dare Way between Selser and Bowie School. 3. DANA PARK - Located off Springfield St. past Elms College (on left). Take left on to Newbury St. to park. 4. FAIRVIEW - Located off Montcalm St. – across from Fairview Memorial School. 5. GARRITY GROVE - Off Montgomery St., past Mass Pike entrance and Medical West (both on left) heading to Chicopee Falls. Take right on to Mercedes St.
6. LINCOLN GROVE - On Broadway St. past School Department. Next to Chicopee Falls Library. 7. LITWIN - Take 291 to end. Head onto Burnett Road. Pass Chicopee St. Park (on left). Take right at sign indicating Sunshine Village, Litwin School. 8. MOOSE - Take Memorial Drive towards Chicopee. Take left onto Fuller Road. Moose Club on left down Fuller. 9. NASH PARK - Take Ferry Street (off Chicopee St.) next to Fire Station. Nash #1- Playground Area; Nash #2- road. 10. PRESTON - Head toward 2nd rotary in Fairview. Take right by Knights of Columbus Hall on the right. Take 2nd right onto Access Road. 11. RIVERS/DULCHINOS FIELD - Go to the bottom of Grattan Street. Take right onto Meadow St. Take first right to Rivers parking lot. 12. SARAH JANE - Heading North on Chicopee St. First right after Stedman St.
13. SZETELA - Off Granby Road. Take Macek Drive to Szetela School- near Knights of Columbus and Elks Lodge on Granby Road. 14. SZOT PARK - Entrance on Front St across the street from Chicopee Electric Light Dept. 15. WILLIAMS PARK- Same directions as Litwin above. On left past the Trading Post. Entrance is right at the start of Williams Distributing.